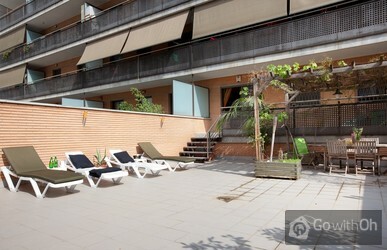 This is one of our modern Barcelona vacation rentals with a large terrace. 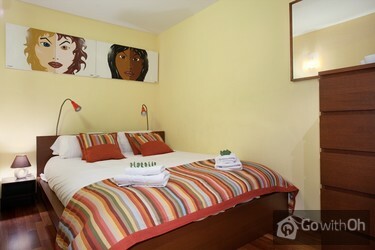 Up to 5 persons can stay in this spacious 90 sqm apartment, decorated in a modern and clean style. 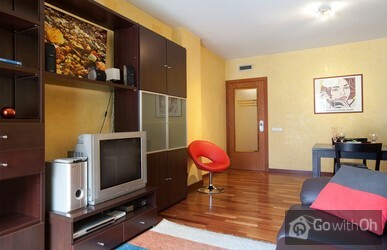 The holiday rental is located on the first floor of a building with an elevator. 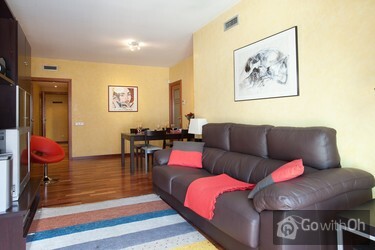 It has three bedrooms, which makes it a perfect match for two couples or a family. 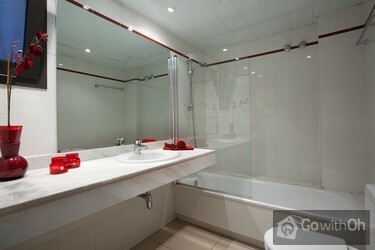 There is a bedroom with a double bed (140x200), a TV with DVD player and an en suite bathroom with a bath and shower. 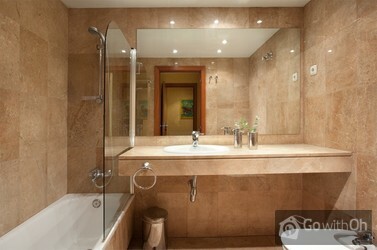 In the second bedroom there is also a double bed (140x200) and a bathroom with a bath and shower. 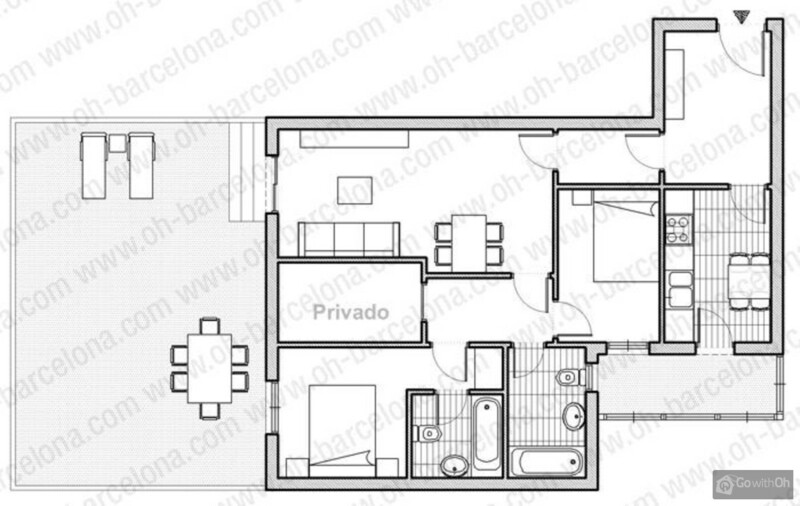 You will also find a third bedroom with a single bed. 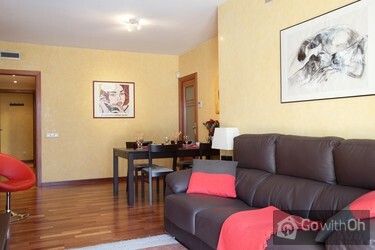 Relax on the large sofa in the spacious living room and watch cable TV, use the DVD and CD player or surf the internet with the Wi-Fi connection. 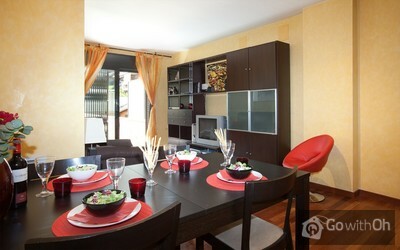 The dining room with a dining table will be perfect for dinners. 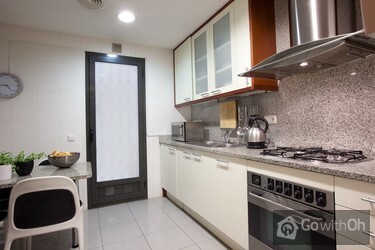 If you like to cook, you will enjoy the well-equipped kitchen with washing machine. 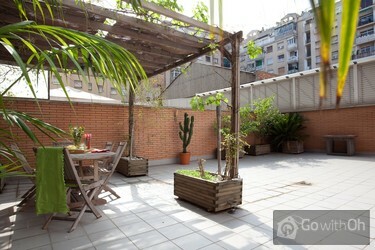 The ample 96 sqm terrace with a table and chairs is ideal for alfresco dinners or simply sunbathing. 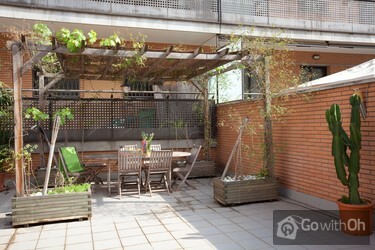 This vacation rental is situated in the Eixample district, between Arago and Padilla street. 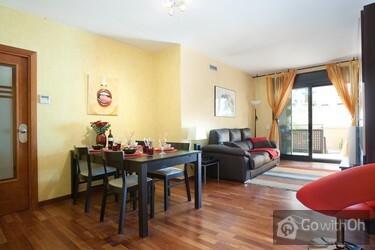 In this area you will find plenty of shops, restaurants and cafes. 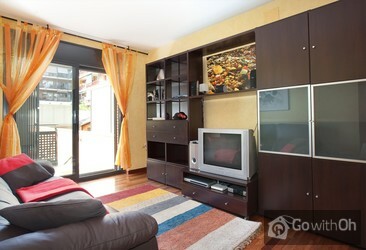 The Monumental (L2) and the Sagrada Familia (L2 and L5) metro stops are just minutes of the apartment. 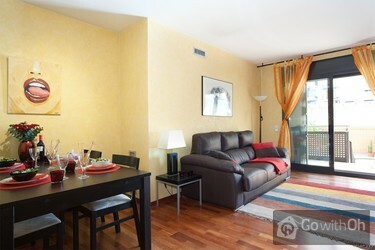 If you like to walk, you can just walk to the city center and enjoy the sights along the way.